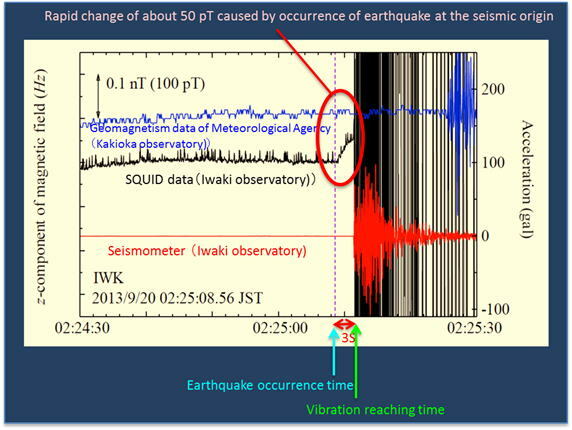 In the current earthquake early warning system in Japan, a fast longitudinal seismic wave (p-wave) is detected by multiple seismograph, and the position of seismic center and the seismic intensity of next coming transverse wave (s-wave) are calculated for warning. 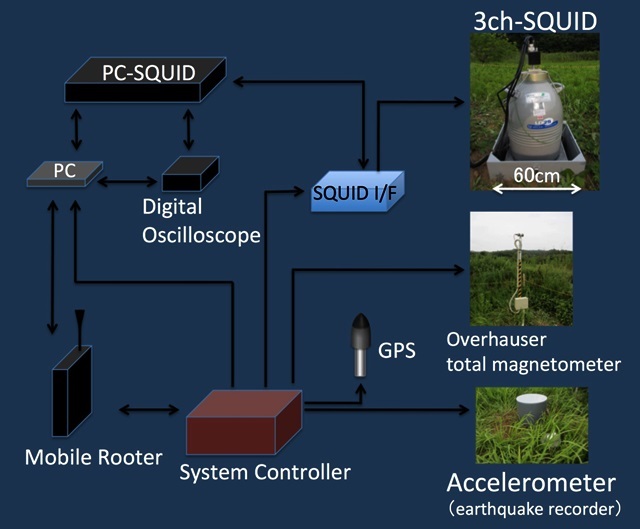 We developed a geomagnetism observation system with three-component HTS-SQUID sensors to sensitively detect a small change in the Earth’s magnetic field due to a fault rupture causing an earthquake. 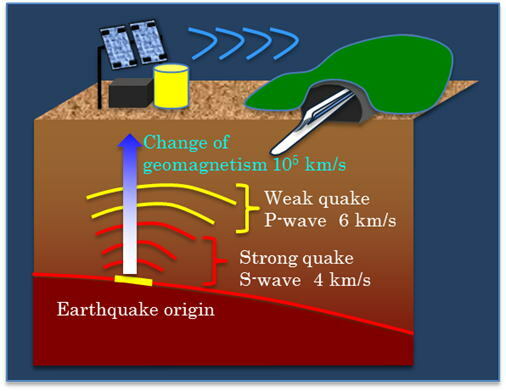 Since the change in the magnetic field propagates at a speed of light, it is expected to detect occurrence of earthquake several to several tens of seconds earlier before seismic p-wave reaches. Two systems have been working in Fukushima prefecture and real-time data are obtained via wireless communication and internet. Image of earthquake detection utilizing geomagnetism observation system. Composition of SQUID observation system installed in Fukushima prefecture. An example of earthquake observation (September 20, 2013, M5.3).